Siti Nor Yuwana Zulkifli, 35, has won the 2018 Raja Kuah Knorr Challenge, thanks to her late mother’s recipe of Mum’s Heritage Chicken Curry (Kari Ayam Warisan Bonda) and two other creations of her own. 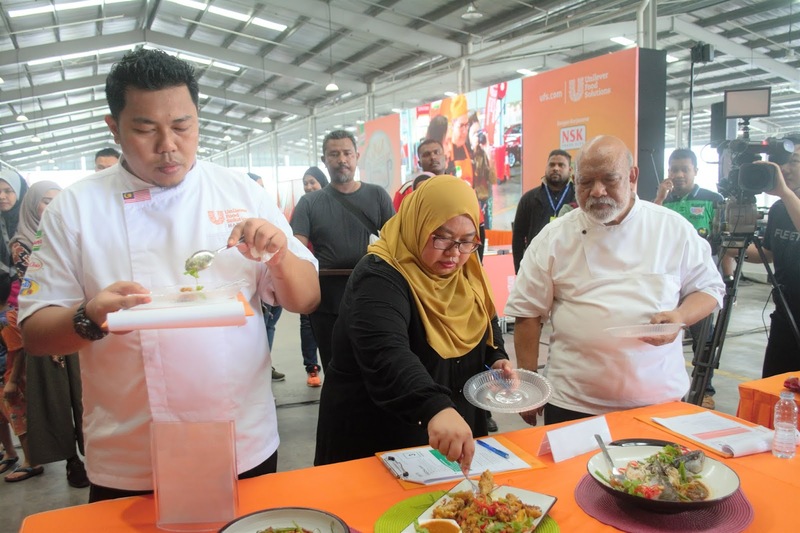 The food operator from Kuala Lumpur also presented Sliced Creamy Beef (Masak Lemak Daging Salai Berapi) and Saucy Chicken My Way (Ayam Masak Kicap Cara Saya) to impress the judges to win the grand prize of an Umrah package for two persons worth RM25,000 plus RM15,000 cash and hampers. 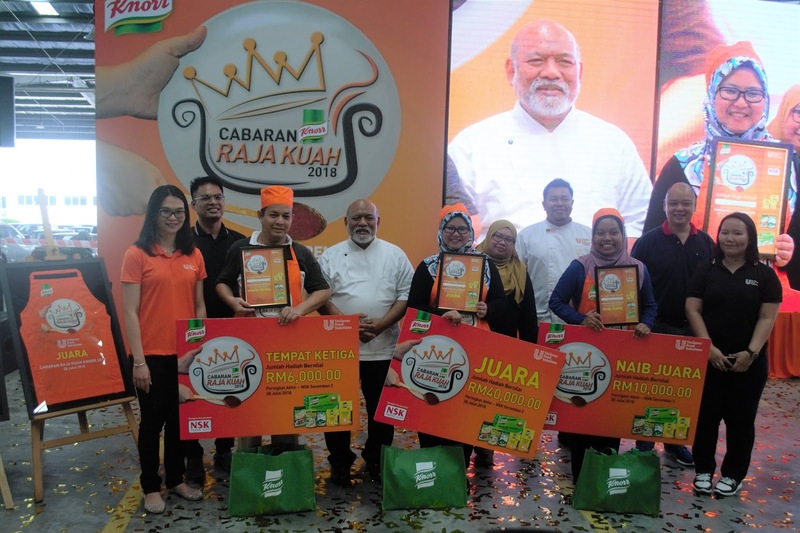 Cabaran Raja Kuah Knorr is continuing the quest to create newer and greater appreciation for Malay gravy dishes which have a great following amongst all Malaysians. After its inaugural introduction in 2016, the event organised by Unilever Food Solutions continues to focus on gravy dishes which constitute up to 70% of the dishes served by Malay food operators, mainly as curry, served with soy sauce, turmeric and other spices. 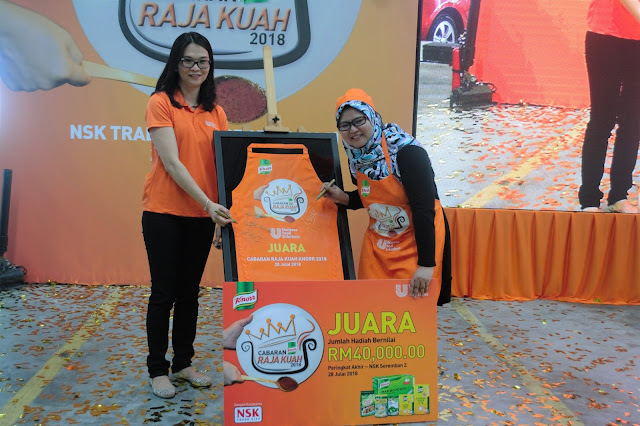 UFS Malaysia Managing Director Nusrat Perveen said: “There is a growing trend of utilising chicken flavour as well to titillate the tastebuds so Unilever Food Solutions is acknowledging these culinary efforts using Knorr Chicken Powder. “This year, we have a special partnership with NSK Trade City, the largest wholesaler in Malaysia and our biggest cash & carry partner, which is famous with their large range of good quality and affordable items for canned food, drinks, bodycare products and detergent, just to name a few!” said Nusrat. 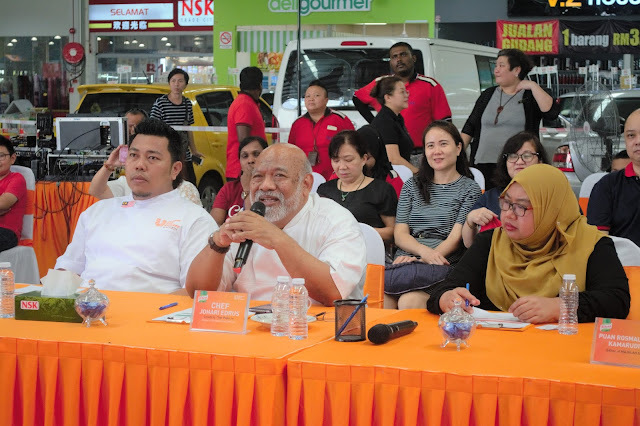 Making the decision of the best of the best for Cabaran Raja Kuah Knorr 2018 were distinguished judges namely celebrity Chef Mohd Johari Edrus (better known as Chef Jo), UFS Chef Mohd Hadzrin Mohd Din and Saji cooking magazine editor Rosmarlinda Kamarudin. They scored the Cabaran RKK contestants based on criteria such as cleanliness, food presentation and taste. Cabaran Raja Kuah Knorr is open to all Malaysians and sending an entry is simple by creating 3 types of gravy dishes consisting of either curry, soy sauce, or lemak (turmeric-coconut based gravy) using Knorr Chicken Stock. A total of 10 contestants from all over Malaysia, including one from Negeri Sembilan were selected to compete in the grand final recently. - plus top 7 consolation prizes of RM1,000 and hampers. Unilever Food Solutions wants to grow for the future and engages 800 million consumers every year. UFS aims to do this in a sustainable way and focuses on four areas to make the difference: improving health & well-being, increasing food safety, reducing food waste and sustainable sourcing. Great food transcends geographical boundaries and cultural differences, and this is more than obvious in a multi-cultural country like Malaysia where locals and even foreigners enjoy the cuisine offered in this wonderful melting pot of differing tastebuds.